Author's Note: I wrote this piece Christmas 2017 but never published it. A few weeks before Christmas my colleagues were all sharing their holiday plans with one another. An office of mostly mid-westerners, folks were traveling back to Iowa or Indiana. A few people were staying in Phoenix. Then, I shared my plans. 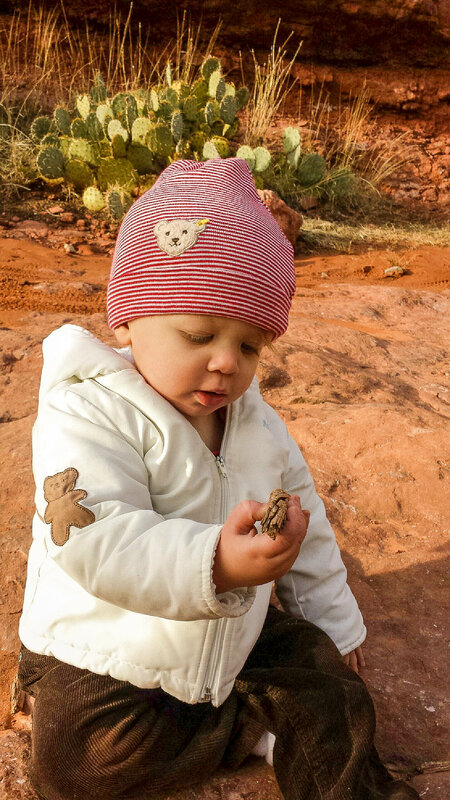 I was headed to Sedona with my husband and one-year old to spend a blissful, quiet week in the red rocks. No planes delayed by weather, no overpriced brunches with Santa, no awkward cocktail parties with distant relatives we barely knew. Just the three of us. My eyes were met with longing gazes of muddled jealousy. “You win,” said Dan. We packed up our few wrapped presents, our portable crib, and all of our hiking gear. We hit the road, and in two short hours, our long-awaited vacation began. It felt like more than a vacation, though. It felt like a deep breath out. Like the whole past year had been one long inhale, and we could finally, finally exhale. Maybe it was the magic of Sedona, or maybe it was that we let him cry it out, but Eli started sleeping through the night that week. After an entire year of waking multiple times a night, I dreamt more vividly and deeply than I had for a long time. I woke up feeling both stupid and refreshed. With each night’s sleep, I emerged ever so slightly less battered by that first year of motherhood. Every morning we ate breakfast and then planned our daily hike. Nothing too long, but being able to hike everyday felt amazing. Sure, there was the hike that Eli cried through in its entirety because he was too cold. But there was also the one he slept through, as the sun shone on our faces, keeping us just warm enough. And there was the one we were all awake for. 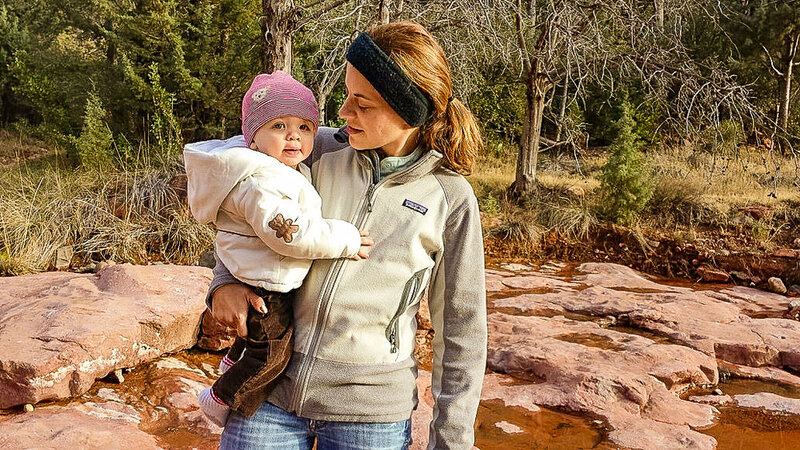 More awake than we’d ever been, laughing and playing, warming our hands on the deep red rocks, finding little sticks to stack and tell stories about the family of javelinas we had seen. On Christmas, we decided to visit one of the several vortex spots in Sedona. As we climbed the gentle slope up to Boynton Canyon Vista, we heard music playing. A flautist had found a nice spot to play on the side of the vista, and the sound of the music spread deep into the canyon. Then, in that sort of mystical way that can only happen on Christmas, it started snowing. White flakes contrasted against the dark red rocks. Eli snuggled close to me. Anything and everything seemed possible. How was it possibly four years ago? That first year went by so slowly, but since then, life has moved at lightning speed. At that time, my husband was finishing up his PhD, and we didn’t know where we were going next but it didn’t matter. Anything and everything was possible. Now that Christmas is met with the full anticipation and excitement of a five-year old (and lots and lots of Christmas cookies), that first Christmas with our baby seems like a dream. Can we ever get back to that level of simplicity? I hold onto that moment in time but also let it go, recognizing that as time passes, life changes and that’s ok.